Sales of the Mercedes-Benz E-Class have shot through the roof in the United States. Up 131% over May 2009, the E-Class’s gains helped make up for SL, R, CL, CLS, SLK, and the defunct CLK-Class Benzes to see Mercedes-Benz to a 25.8% gain last month. Of course, many of those lost CLK-Class sales can be seen in the E-Class’s figures – the CLK is dead but the E-Class coupe and cabrio have taken its place. 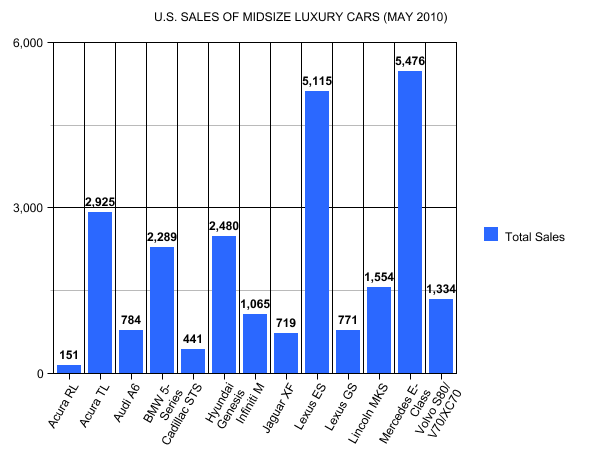 Elsewhere in the midsise luxury car field, Infiniti’s new-for-2011 M sedan posted an increase of 61.9%. Sales of the… *yawn*… Lexus ES rose 24% but the popular Acura TL suffered a decline of 13.3% compared with May 2009. It would be safe to assume BMW 5-Series sales would challenge the TL for third place in the segment before long. Keep in mind, Hyundai Genesis sales in the Graph below include those of the Genesis Coupe. 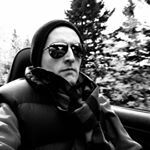 This is also the fist time The Good Car Guy threw in the V70 and XC70 with Volvo’s S80.